New book, 256 pages, with 10 black and white pictures, 117 colour pictures and 12 maps and 127 drawings. 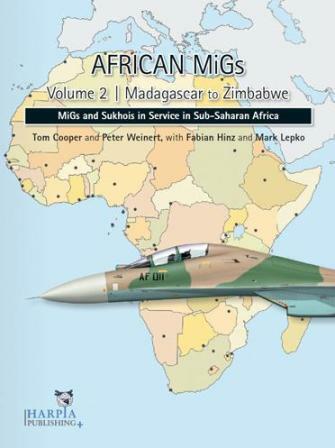 This second, expanded and fully revised edition of the groundbreaking book African MiGs examines the role and deployment history of MiG- and Sukhoi-designed fighters - as well as their Chinese derivatives - in no fewer than 23 air forces in Sub-Saharan Africa. 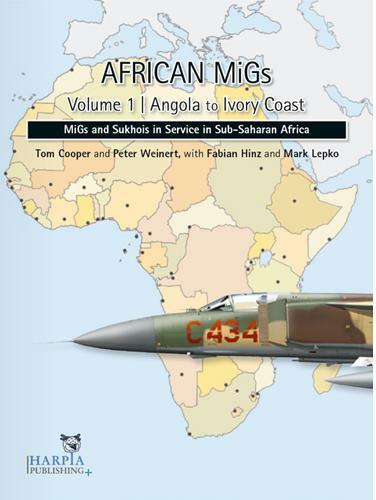 This first volume, covering 12 air arms from Angola to Ivory Coast, will be followed by a second volume in 2011. In order to ensure precise documentation of every airframe delivered to and operated by the various air forces, special attention is given to illustrations as well as extensive tables of known serial numbers and attrition. The new volume is updated with much exclusive information, photographs and artworks. 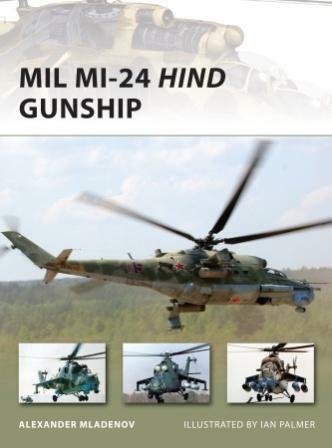 As such, it provides the most comprehensive and reliable source on the background of each of the features air forces, their organisation and unit designations, deliveries of fighters built by MiG, Sukhoi, Chengdu and Shenyang, camouflage, markings and combat deployment. This item was added to our catalog on Sunday 19 December, 2010.